Of course, Starcraft also became an esports sensation worldwide and got to have millions of fans (especially in South Korea, where the game is a national pastime and enjoys legendary status). The game is now over 20 years old, and has been superseded by its arguably superior sequel, and other online multiplayer games such as League of Legends. But still, it’s likely Starcraft fans will be happy to know that Blizzard’s game is now free to download and play, and you can get the legendary RTS here. Additionally, the game has gotten its first patch in eight years, making changes that modern gamers will appreciate. Amongst these is improved compatibility with newer operating systems like Windows 7, 8.1 and 10. Also, the game can now be run in windowed mode so you can take part in a game of Starcraft without ever leaving your desktop. Those looking for multiplayer matches will have an easier time as there is a new “Popular Maps” section, making it easier to find games. Plus the new “anticheat capabilities” mean players will be able to enjoy the multiplayer side of Starcraft without cheaters giving them a hard time now. 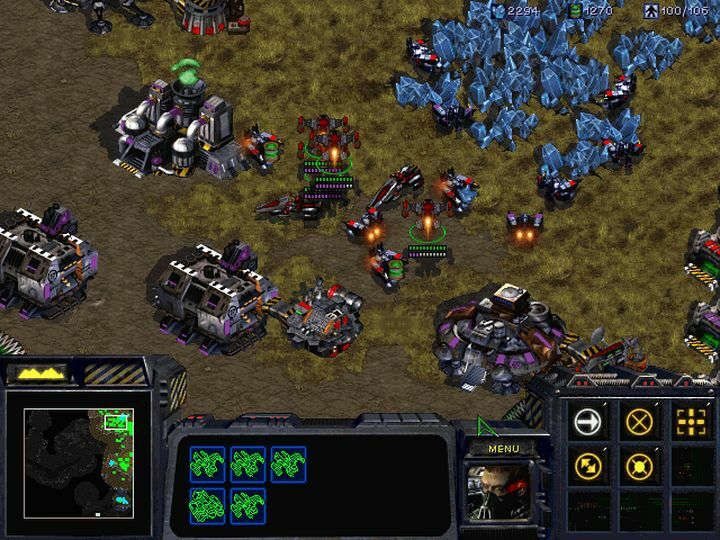 Of course, it’s great news that Starcraft (and its Brood War expansion) are now a free download, but it’s likely RTS fans are now waiting for the game’s eagerly anticipated remaster. This will bring new and interesting features to the table, and is slated for release this summer. And who knows, perhaps this could even be the beginning of a Starcraft renaissance, and Blizzard’s game might end up becoming as popular as it was back in the day… More likely though, this one will be played by nostalgic gamers and newcomers, who will finally get a chance to sample what undoubtedly is one of the best real-time strategy games released to date. For the time being, though, players can enjoy both the single player campaigns in the original Starcraft and Brood War, which despite their age (these were originally released in the late 90’s) still have plenty to offer. And Starcraft’s multiplayer is still a blast, of course. And given these are now a free download, there’s no excuse for newcomers not to try out the legendary RTS, and see why this game has kept people busy for years since its launch back in 1998.